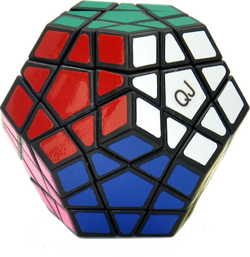 This Megaminx is a bit weird. I don't know if I got a defect, but a lot of the pieces have a lot of extra plastic. Because of this, some faces are smoother than others. Lock-ups is what this puzzle should be known for, they happen a lot! Corner cutting is non-existent. Popping and corner twists are very rare. Overall I give this puzzle a 2 star review. Not all faces are as smooth as they should be, there are a lot of lock-ups, corner cutting does not exist, and it is because of this, I give this puzzle 2 stars. This cube is pretty good, with a decent price, but the corner cutting is its downfall - a lack of florian modding took that away. Otherwise, the turning is as good as the Dayan!